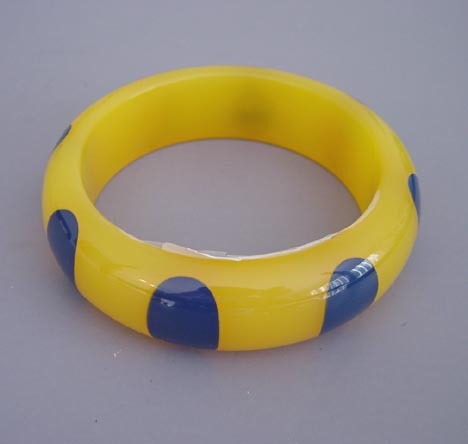 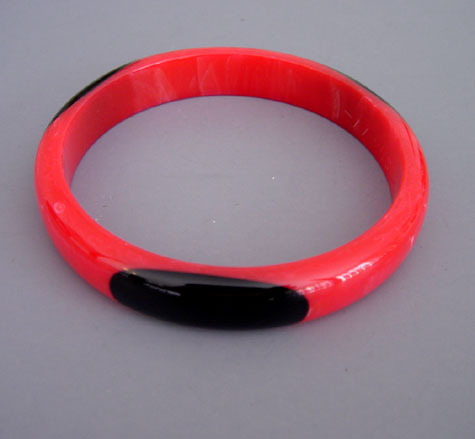 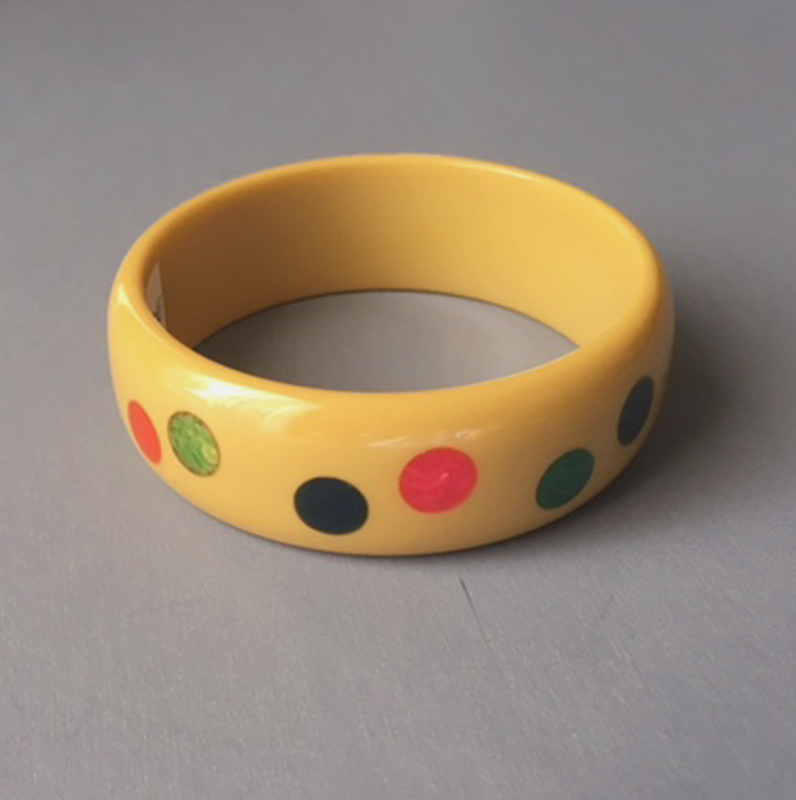 SHULTZ bakelite black spacer bangle with four golden oval dots, 2-1/2" by 1/3" by 1/4". 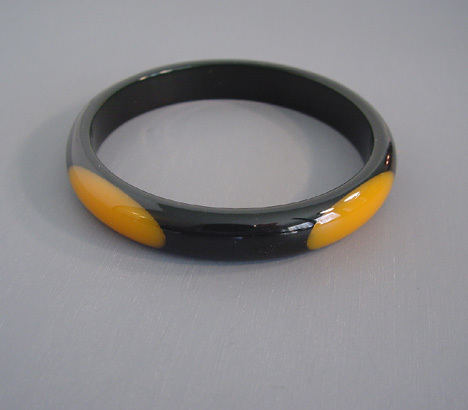 Artisan Ron Schultz, who began making his wonderful bakelite jewelry in the 1980s, creates his pieces using only genuine vintage circa 1940s bakelite, and every piece is his own original work. 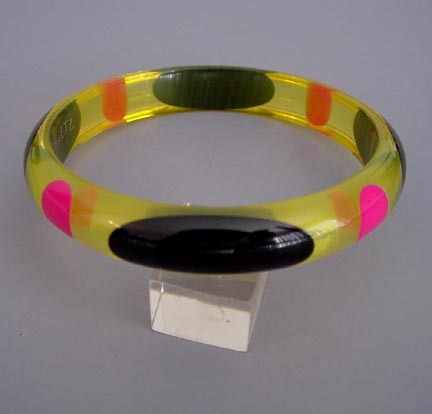 It is signed, as are almost all Shultz pieces, and in excellent condition.